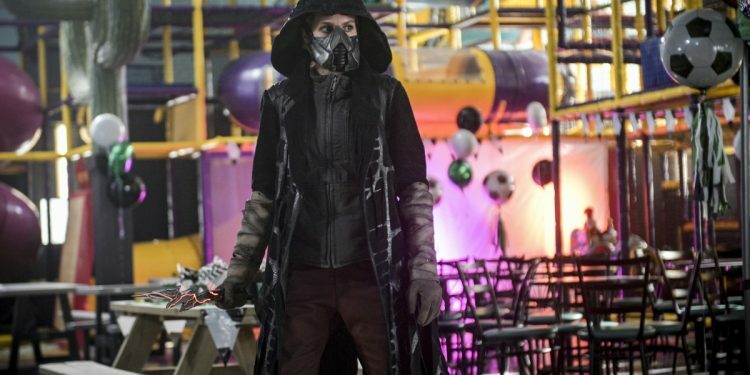 The Flash has done a great job this season fixing a lot of the issues we've had with previous seasons. Even down to timing episodes right so they fit with breaks. Nora having to reveal that....scratch that...Sherlocke revealing that Nora has been working with Thawne and Barry putting her in the Pipeline is the perfect way to go into a break. Add in the way they keep evolving the threat of Cicada and they're hitting on all cylinders. Grace Cicada is frighteningly powerful and seemingly doesn't have the weaknesses of her uncle. The Flash has done a great job this season fixing a lot of the issues we've had with previous seasons. Even down to timing episodes right so they fit with breaks. Nora having to reveal that....scratch that...Sherlocke revealing that Nora has been working with Thawne and Barry putting her in the Pipeline is the perfect way to go into a break. Tickets are now on sale for our Avengers: Endgame private screenings in L.A. and D.C. Get them now! Black Panther Crosses $1 Billion: What Storylines Should (And Shouldn’t) Be in Black Panther 2?